Scented Oil Refill Lavender & Chamomile .67oz 2/Pack - Essential oils fill your room with a pleasant fragrance. - Long-lasting refills last much longer than aerosol alternatives. 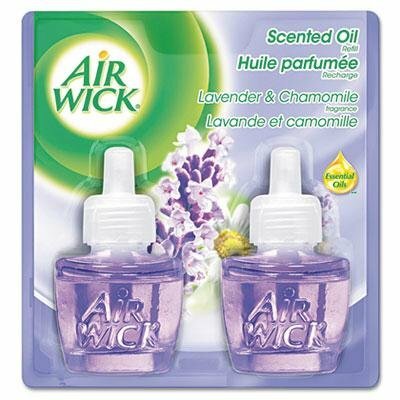 - Scent: Lavender & Chamomile Physical Form: Liquid Application: Automatic Odor Control Capacity (Volume): .67 oz.